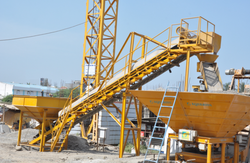 Pioneers in the industry, we offer inclined screw conveyor, belt conveyor, screw conveyor, aggregate feeding belt conveyor, swivel chute conveyor and arm belt conveyor from India. Length 6 Mtr. - 17 Mtr. Our company engages in offering Inclined Screw Conveyor that find a wide application in sugar, fertilizer and cement industries. Robustly constructed and reliable in operation, the proffered conveyors are used for transferring powders from one station to the station. 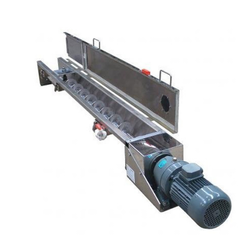 Manufactured in accordance with the present industry standards, these inclined screw conveyors are quite economical. 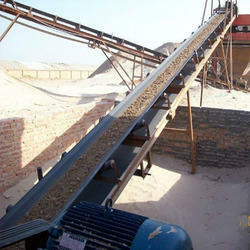 Costing of screw conveyor will vary according to length and size of Screw conveyor. Belt Conveyor offered can be made available by us in large capacity and well as with high operation speed support so as to offer optimum functionality support in given operations. Coming with standard parts for offering reliable running; these conveyors can be offered as per different industry certifications like CE and others. 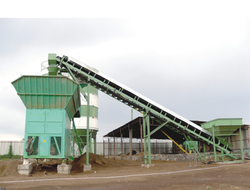 Some of its features include finding use in transferring sandy or lump material, the transfer system can be independent or in form of Multi-Conveyor, allows for horizontal installation to meet needs of different transfer lines, adaptable for stationary and mobile crushing plants. 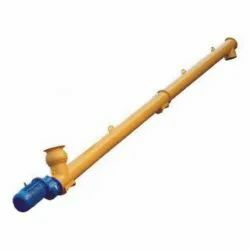 We have emerged in offering our valuable customers a wide array of Screw Conveyor. It is a mechanism that uses a rotating helical screw blade, called a flighting usually within a tube to move liquid or granular material. These are used in many bulk handling industries. Our range is used to move semi-solid materials including food waste, wood chips, aggregates, cereal grains, animal feed, boiler ash, meat and bone meal and municipal solid waste. 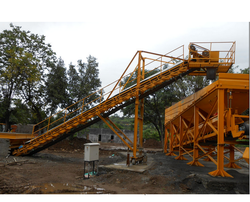 This screw conveyor is used for conveying various powders like cement, fly ash, micro Silica, GGBS, lime, and slag. We are manufacturer of Arm Belt Conveyor offered provide support as versatile material handling equipment and can be offered by us in different size options as per the specific conveying requirements of particular processes. 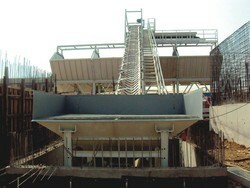 We are viewed as the significant provider of a broad range of Feeding Conveyor. The offered Feeding Conveyor is completely tried on various quality parameters and is comprehensively requested in different ventures. Given Feeding Conveyor is made by utilizing premium quality material and the most recent innovation in accordance with the characterized quality standard. Particularly planned this Feeding Conveyor is made accessible in the business sector at a most aggressive cost. Our association is a provider of a thorough scope of Roller Belt Conveyor. We fabricate these by utilizing the superb crude materials. These are uniquely composed utilizing advance machines to lessen the vibration and clamor connected with a framework for nourishment grade material taking care of furthermore treatment of misprize powder materials. We are valued by our customers for the toughness and resistance towards consumption. These are accessible in the business driving costs. 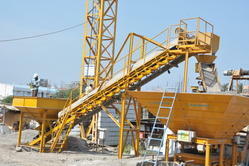 We have established ourselves as a renowned manufacturer and supplier of Shuttle Conveyor. The range we offer is designed for final load-out of stamping scrap into large trailers or railcar. Latest equipment and high quality material are brought into use for manufacturing these conveyors following standards and norms of the industry. Concrete Belt Conveyor offered finds application in the concrete distribution system and as single plants are suitable for a number of concrete applications. These precision-designed systems allow feeding of concrete to different concrete applications like in concrete pipe production, paver block unit, fly ash brick making a machine, RMC supply through this single production unit. 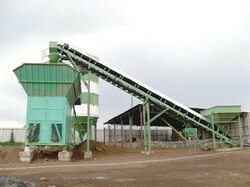 Further, these also find suitability in concrete batching plants.